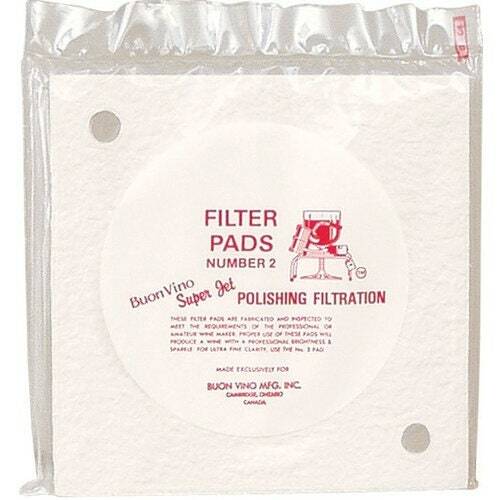 Genuine Buon Vino Super Jet Filter Pads for the Super Jet filter system. #2 2.0 micron nominal filter pads are used for fine or polishing filtration. Use to remove medium to small particulate and add shine to your wine. Grape wines should typically be filtered with #1 pads before using #2 pads, although kit wines with less sediment can use the #2 pads first.